Millie Roberge has been intently focused on the well-being of others throughout her professional career. Prior to becoming an attorney, Millie spent more than 20 years working hard in the medical industry. She holds a master’s degree in clinical nutrition and was a pharmaceutical sales representative for Smith Kline for a number of years before serving as a registered medical technologist, X-ray technician and ambulance attendant. As the mother of an autistic son, Millie quickly learned how to fight for the rights of children in any situation, legal or otherwise, and holds fast to the philosophy that the needs of children always come first. This level of care and commitment has spilled over into her legal profession as well, and today Millie and her daughter Serena help clients through even the most difficult legal family issues at Affordable Family Law Center, one of Clark County’s busiest law firms. Millie’s time spent as a special deputy prosecutor in King County allows her to see every situation from both sides, an advantage she utilizes for all her clients. 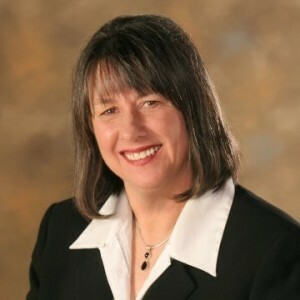 She is actively involved in the family law sections of both the Washington State Bar Association and the Clark County Bar Association, and is a member of the National Institute for Trial Advocacy, the leading provider of legal advocacy skills training in the U.S.
Millie recognizes that divorce and family disputes can be some of the most emotionally damaging events a person can face. As a result she has developed a unique fee system for clients, giving them economically approachable options without sacrificing the strong representation they require most. Attorney Millie Roberge has an extensive background focused on the well-being of others, something she’s taken to heart at Affordable Family Law Center where she helps Washington families in need. Call (360) 695-6000 today to speak with our experienced and compassionate family law attorneys.